Nothing makes a weekend breakfast or brunch better than assembling a new burger. There are so many elements that you can vary in a burger. 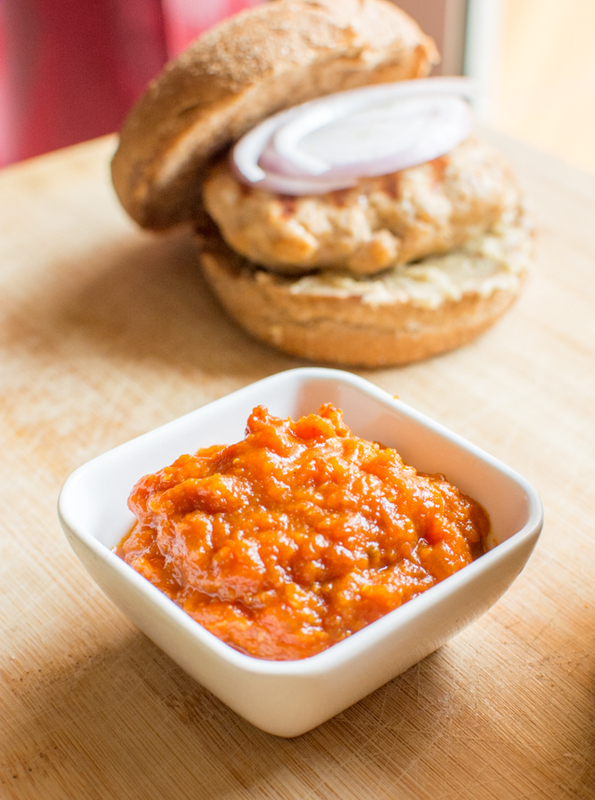 This recipe is about a unique spread and a condiment to go with the burger. 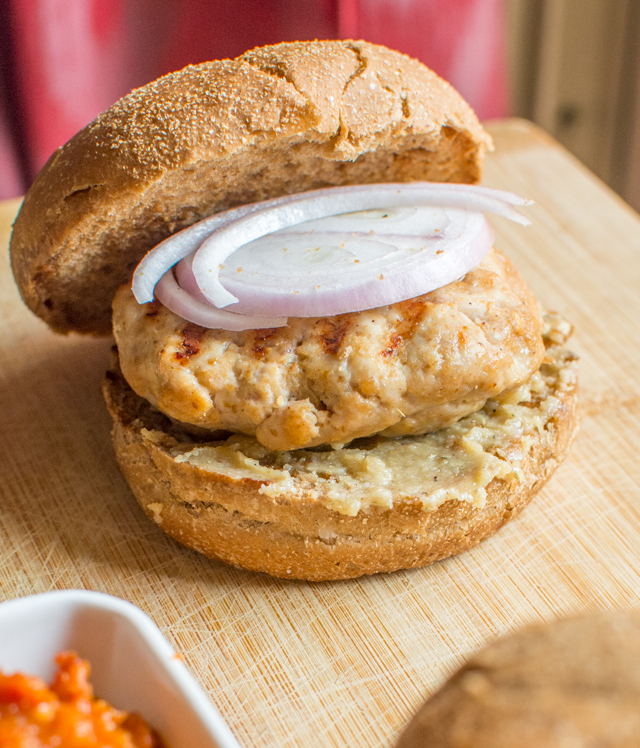 You can use any patty really - our Vegan patty, the heavenly chicken or the best bet might be the beans patty. 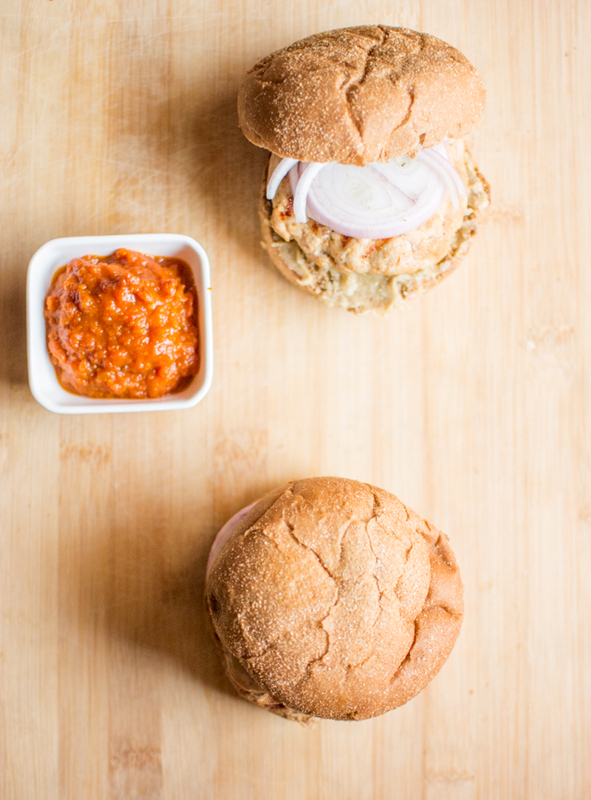 We'l make a earthy spread to go inside the burger and a sweet, tangy but flavorful relish to go as a condiment on the side. You get two recipes in one with this blog post. Spread - this is basically just mixing the ingredients together. Add a 1-2 tsp water to improve the consistency and make it easier to use but we don't need a sauce so just keep it thick. 2. Take some oil in a pan and add the rest of the ingredients and cook for about 10 minutes on low flame to just remove the water and cook the tomatoes a bit. Adjust sugar if needed - remember this is a replacement for the classic ketchup on the side. 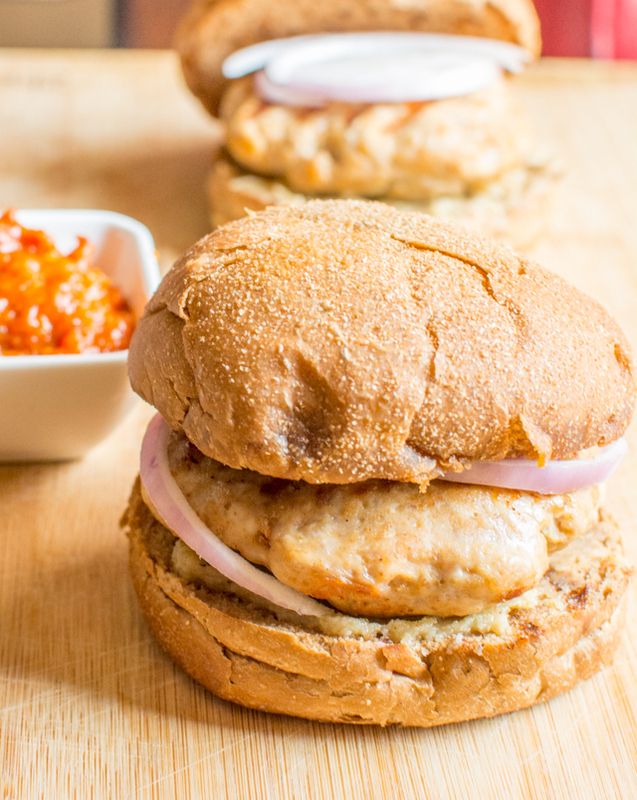 Enjoy the burger with these interesting twists.